We’ve all dreamed about buying a ski lodge and moving to Japan to live a life of endless powder, right? With some tips from those who’ve done it before you, now you can. The days of five-figure property purchases in built-up resorts like Niseko may be over, but you can still find a deal for a commercial ski lodge in lesser-known Japan resorts – so those Japowder dreams remain well within your reality grasp. Though be warned, owning a lodge in Japan is different to owning a home in Japan. It’ll cost more to purchase and also requires a specific skill set, along with a specific business management visa, to manage and run. So decide if you just want a holiday home or if you have the time and energy, along with the hospitality and marketing skills, to create a viable business; then start looking. 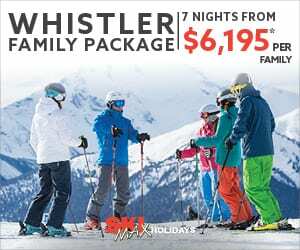 Hoping to save your spare pennies until you can hopefully get a mortgage on your dream ski lodge? That won’t fly in Japan, where cash is king – especially when you’re a foreigner looking to invest. Will Chrisfield is the managing director of Niseko Plus, a real estate agency that covers everything from development land in Higashiyama to luxe condos in Hirafu. Originally from Melbourne, Will fell in love with Niseko and is now known as the go-to real estate guy in Hokkaido. “The most obvious factor when buying in Japan is that finance is basically unavailable for everyone, so you need to be a cash buyer, unless you’ve been able to secure financing in your domestic market – which happens only on rare occasions,” says Chrisfield. 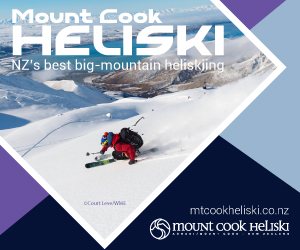 A million Australian dollars sounds like a lot – but in 2019, it won’t get you far in Niseko’s Hirafu, where everything has doubled in value over the past six years. Those still hoping to buy around Niseko will have to head out to, say, Kutchan; about fifteen minutes down the street from Hirafu, properties start at 15 million yen (about AU $191,000) for a modest 3 bedroom house and can run through to 50 million (about AU $637,000) for something newer and closer to the central downtown area. 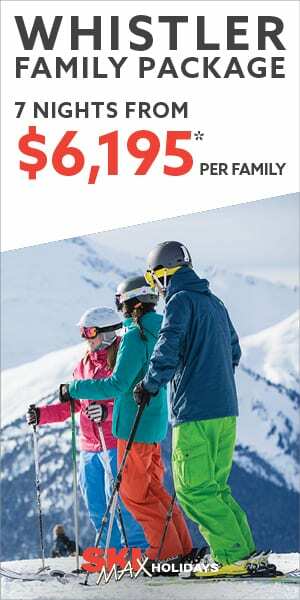 Heading out of the built-up, popular resorts and over to the lesser-known ski areas can result in much cheaper and viable options for the average Aussie. Those looking in the recently ‘discovered’ Madarao area of Honshu may be looking at 30 million yen (about AU $382,000) for a lodge in an unrenovated state in Madarao, and 80 million yen (over a million AUD) for something that’s newly renovated and fully furnished. You’ll still find cheaper further afield, but be careful. “Properties that are super cheap are cheap for a reason – maybe they’re not in prime locations. Or maybe the older Japanese owners haven’t been able to tap into the Western market and make a business out of it, so the building has run down and they’ve sold it,” says Scott Aggett, who purchased Kuma Lodge in Madarao in 2015. Don’t be afraid to get creative. Aussie couple Dan and Andy Solo fell in love with the Japanese culture and people when they managed a lodge in Niseko over 20 years ago. In 2016, they decided it was time to make the dream come true – owning their very own Japanese ski lodge. Having some savings of their own but needing to kickstart the funds, they started a Go Fund Me page called ‘Buy a ski lodge in Japan‘. Their goal was $20,000, and although they didn’t know exactly which lodge they would be buying, or where exactly it would be, they promised their donors significant future benefits – those who donated $2000, for example, would get 14 days free at their future lodge along with 30% off future bookings. A few months later, they’d successfully raised enough money for the deposit to buy their own Japanese ski lodge, Snowball Chalet in Madarao – and they’re still welcoming the guests that helped to invest in the original Go Fund Me. In an area like Niseko, buying a property can actually be a relatively straightforward process if you have the financing; there are bilingual support services available that are very Western-friendly. “In the smaller, untapped markets, money may not be the issue – it comes down to finding the support and finding people willing to take on that work for you, that you can also communicate with,” says Chrisfield from Niseko Plus. In fact, buying a commercial Japanese ski lodge comes with a unique set of challenges that can derail just about anyone, including those highly experienced in hospitality or real estate development. Take Aggett from Kuma Lodge, who has twenty years as a Sydney realtor under his belt. When he purchased in Madarao in 2015, he was one of the first Westerners in the area – which immediately made things more complicated. Friends had originally given Aggett the heads-up about the resort: great powder, awesome terrain, a real estate market that offered excellent value for money and a resort close to more-known resorts of Nozawa Onsen and Myoko Kogen. He flew over with his business partner, found a five-story building in decent condition, renovated it, staffed it and it became a ski lodge. “We were kind of trailblazing at that point!” says Aggett. “We had no one to reach out to – and it’s all about who you know in Japan. There’s not a lot you can find online in terms of a lodge or a hotel for sale online, and even when you find something, it’s in Japanese, the photos are terrible and the details aren’t there. Dan and Andy Solo drove into Madarao and knew instantly that it was the right place for them. From there, they booked into every lodge in town, spending one night at each lodge, asking owners if they were interested in selling. “Some were too derelict so we weren’t interested – it would be too hard to bring them up to standard,” Solo says. The lodge was very tired but had the unique kind of charm that the Solos hadn’t seen in another property. Luckily enough, the owner wanted to sell. And, better still, that wasn’t the only lucky thing that happened. After the purchase came the tricky parts: setting up bank accounts, business visas and hotel licenses, along with all the renovations that the property needed. “Our next door neighbour was an Australian-Japanese couple doing their own hotel licence, and we paid them to do our hotel licence at the same time – she knew exactly what needed to be done,” reveals Solo. Why operate an entire ski lodge when you can purchase a condo or a house at a much cheaper price and rent it out as an Airbnb when you’re not living there? It’s tricky to start, as the Japanese government recently cracked down on Airbnb. Due to fire regulations, there are a fair few properties that are no longer eligible to become Airbnbs. Every eligible dwelling is now required to have a Minpaku license, akin to a pseudo-commercial hotel licence, or a hotel license. Australian Elsie Nielsen has been operating her Airbnb property Yama HQ with her partner, Darren Teasdale, for two winter seasons. Located out near Moiwa, in the backcountry area of Niseko, the Aussie couple snapped the building up at a bargain price and did a few months worth of renovations to get it move-in ready. “We had to run the hotel license through our business Niseko Photography & Guiding, as we were told that individuals cannot get it,” Nielsen says. “With this licensing comes a heap of regulations so you will need to spend a bit of money getting your house up to specifications. Nieslen advises that you may also have to be prepared for very high snow clearing costs, which is something you might not even think about until the winter rolls around. The bottom line? Decide exactly what might work best for you, do your research, get in touch with the right people – and, above all, enjoy the ride. Natalia is an Australian writer, content creator and communications specialist who's spent the last few years in Canada and Japan. Equally obsessed with the sea and the snow, you can usually find her dreaming - and writing - about one of the two.